Okay, folks. We've made it to the near-end of the week. It should be all down... hill? Sorry. I'm feeling a little sluggish on account of it being unnecessarily warm in my apartment because cheap bastards. Anywho, we have in fact made it as far as Thursday. This is a short work day for me because kitteh has to go to the vet. She will probably almost be relieved to have some air conditioning even if the place smells like Other Animal and antiseptic, and she will probably be too lethargic to fight getting in the carrier, so up side? Kind of? What about you, Whitenoisers, friends, associates, and confused passersby? 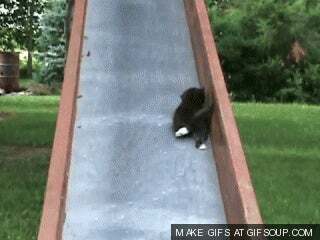 Anything troubling you that you have to let slide?